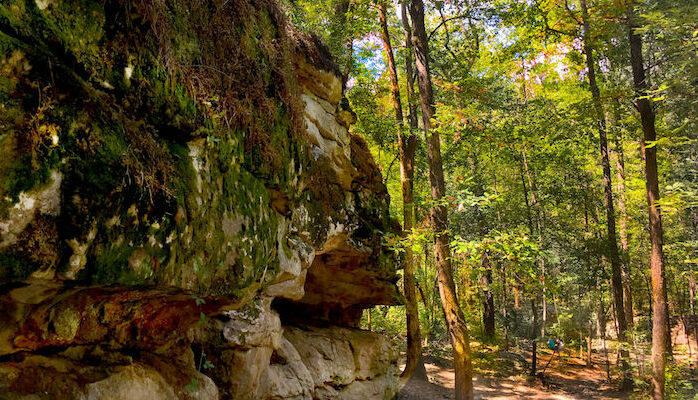 Another top running destination in the Hoover area, Moss Rock Preserve boasts 12 miles of trails — including both challenging singletrack and easygoing dirt roads. There are many ways to explore the park’s paths, but perhaps the most scenic route begins at the Sulphur Springs parking lot and heads RIGHT on the Blue Trail towards Patriotic Junction. From there, continue on the Red Trail and follow it to the end. Turn RIGHT on the White Trail and run until reaching the boulder field Blue Trail, then return via the Blue Trail.